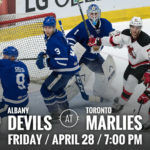 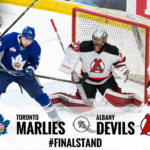 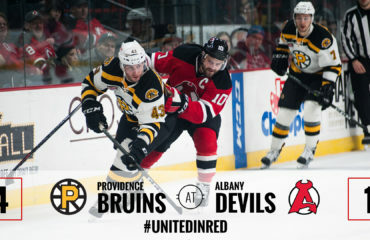 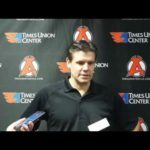 ALBANY, NY – The Albany Devils clinched a playoff spot for the third time in four years when they defeated the Hartford Wolf Pack, 6-3, Wednesday at Times Union Center. 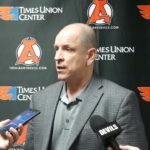 Miles Wood and Blake Coleman each tallied two points in their return to Albany and Jacob MacDonald registered three points en route to the team’s 38th win. 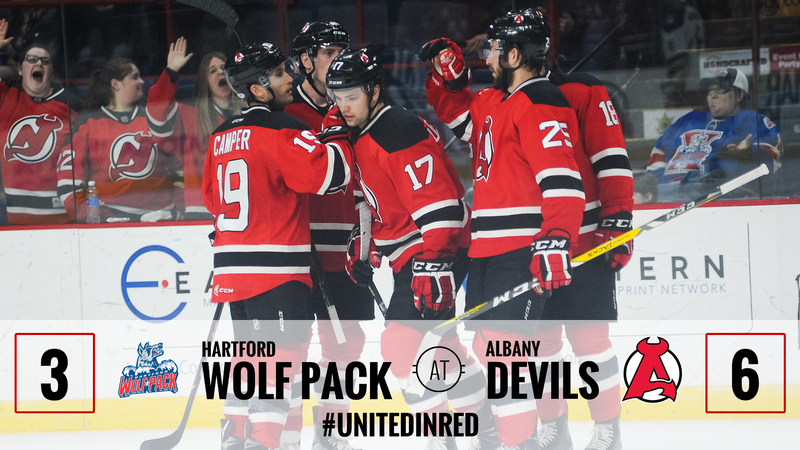 The Devils record improves to 38-31-2-3 as the Wolfpack move to 24-44-4-2. 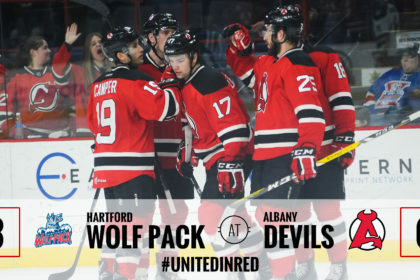 John Gilmour put the Wolf Pack on the board first under two minutes into play but Vojtech Mozik answered at 13:52 with a Devils’ power-play goal. 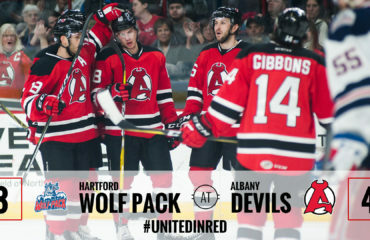 Brian Gibbons and Karl Stollery provided the assists on Mozik’s tenth goal of the season. 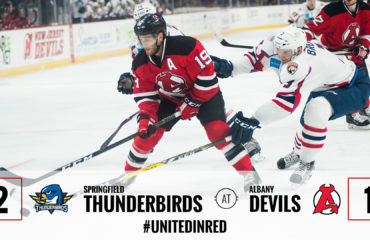 Marek Hrivik put Hartford back in front at 3:20 of the second period to make it a 2-1 game until Kevin Rooney scored the Devils’ tenth shorthanded goal of the season at 6:58 to even the score. 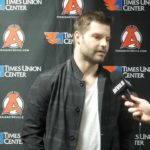 The unassisted goal was his 13th of the season.